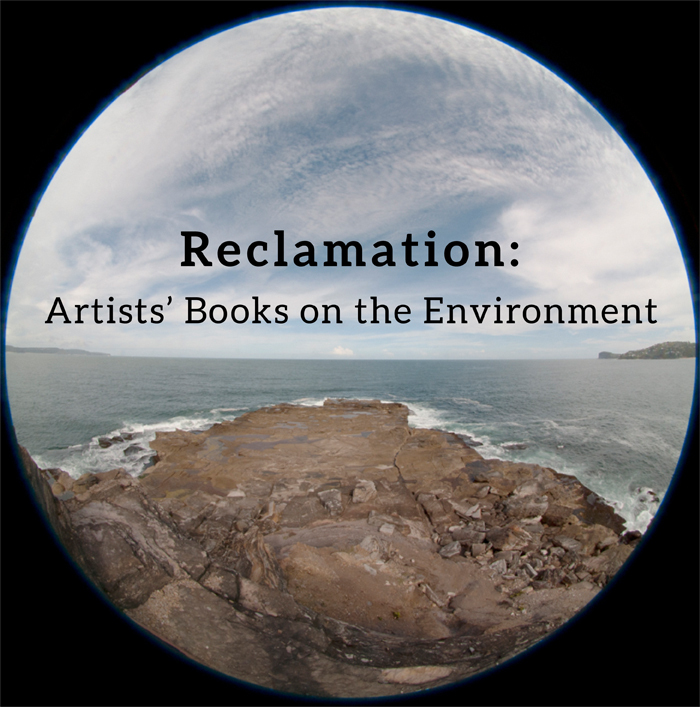 San Francisco Center for the Book is pleased to announce that we are seeking submissions for Reclamation: Artists’ Books on the Environment. The exhibition will open at SFCB in Summer 2021 as one of many worldwide actions in response to “Extraction: Art on the Edge of the Abyss,” a manifesto issued by Peter Koch in 2018. Reclamation: Artists’ Books on the Environment will subsequently travel, accompanied by an illustrated catalogue with essays by the curator and jurors. EXHIBITION THEME :: Reclamation: Artists’ Books on the Environment will consider our relationship to the environment at this moment on the planet. Book artists create works that involve, educate, and inspire action. Book art takes many forms. Sculptural bookworks, for example, command attention so that viewers are compelled to reflect upon the issues explored in the work. Paginated artists’ books rely on a reader’s touch to encourage a measured exploration of complicated topics, one page opening at a time. Many compelling works integrate pagination with sculptural and material richness to create a multi-sensory reading experience. The book form’s expressive strengths offer a perfect vehicle for reclamation, the focus of this show, which refers to the process of claiming something back or of reasserting a right. Works that delve into conflicts faced by communities struggling to transition from a heritage energy economy (such as those supported by coal or lumber) into a clean energy economy. Reclamation seeks to inspire and educate visitors to reflect on climate change and its impacts locally, nationally and internationally. At the same time, the exhibition endeavors to avoid dualistic arguments common to today’s divisive political scene. This exhibit is open to handmade book and paper arts-related works created as either edition or one-of-a-kind. Works should reflect the highest level of craft. Artists' books, sculptural books, book objects, altered books, installations, zines, and broadsides are all encouraged. Elaine Scarry, from On Beauty and Being Just (Princeton, NJ: Princeton University Press, 1999: 3), in discussion of Wittgenstein.